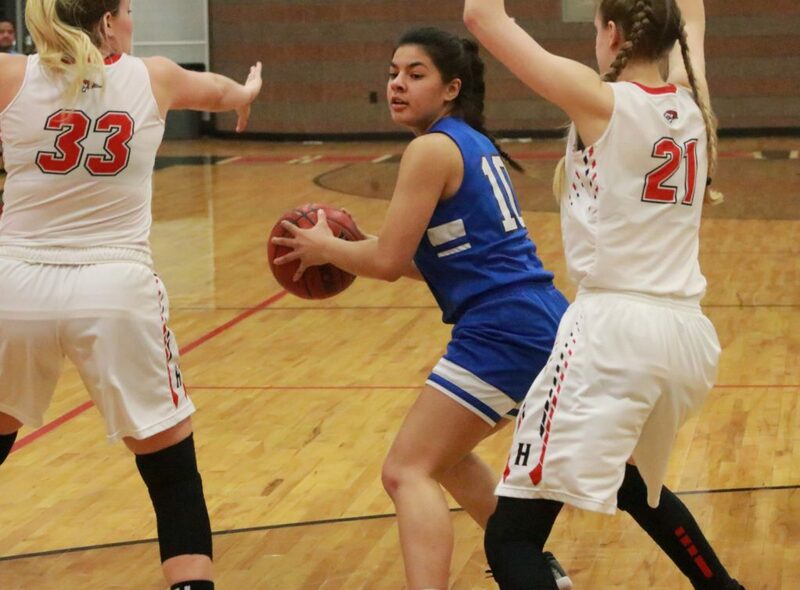 ST. GEORGE — At Hurricane Thursday night, the Dixie Lady Flyers used a 25-point surge during the third period to pull away from Hurricane and go on to win 60-47. The game was close throughout the first half, which ended in a 20-20 tie. “We just worked our butts off and got the lead,” Tapasa said. Dixie outscored Hurricane 25-15 during the third period to take a 45-35 lead into the fourth quarter. Four different Dixie players made 3-point shots during the Flyers’ third-quarter barrage. Dixie made 19-of-26 free throw attempts during the game, including 16-of-20 in the second half. Hurricane converted just 11-of-21 free throw attempts during the contest. Tapasa, who also had a team-high 8 rebounds, said rebounding was a primary goal for the Flyers. 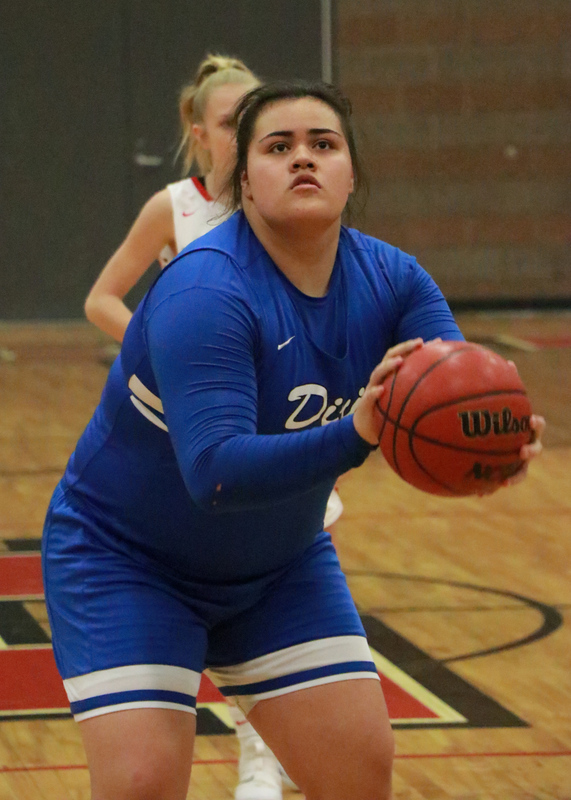 Sina Schwalger added 12 points for Dixie, while Addy Shaffer had 10, including 8-of-9 free throws. 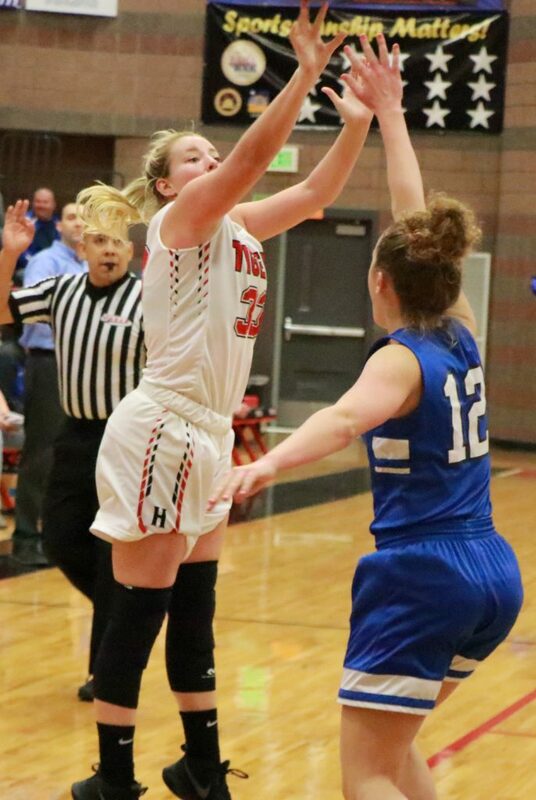 Hurricane was led by Madi Hirschi and Bryn Erickson, who scored 14 points apiece. Guard Kailee Yardley added 7 points. Hailey Homer and Kandalyn Hinton were held to 5 and 4 points, respectively. Dixie improved to 6-4 in Region 9 play with the win. The Flyers are tied for second place in the region standings with Desert Hills, which also won Thursday night to improve to 6-4. 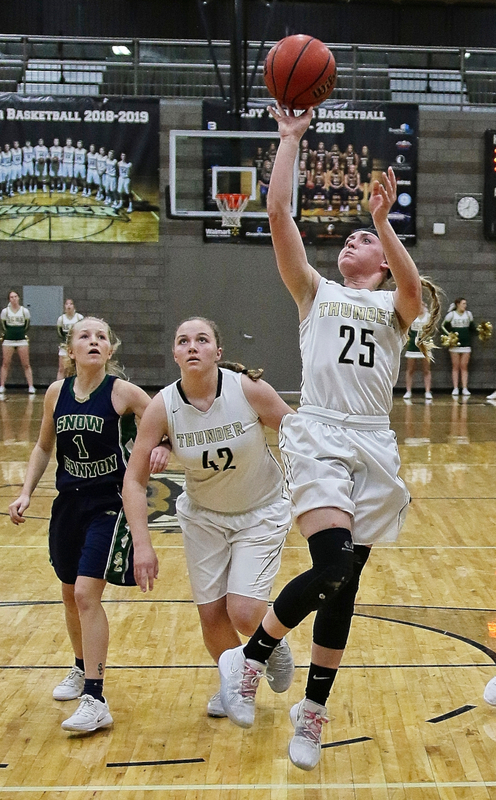 Hurricane dropped to 4-6 in region play, but the Tigers are still in the hunt for the region’s fourth and final playoff spot, as are both Snow Canyon (5-6) and Pine View (4-6). Hurricane’s next game is Tuesday at Pine View. “We need to beat Pine View and have Snow Canyon lose their last game for us to have a tie for fourth with Snow Canyon,” coach Homer said. Snow Canyon’s only remaining contest is at Cedar on Tuesday. That same evening, Desert Hills and Dixie, the two teams currently in second place, will face off against each other at Dixie. All three games on Tuesday begin at 7 p.m. 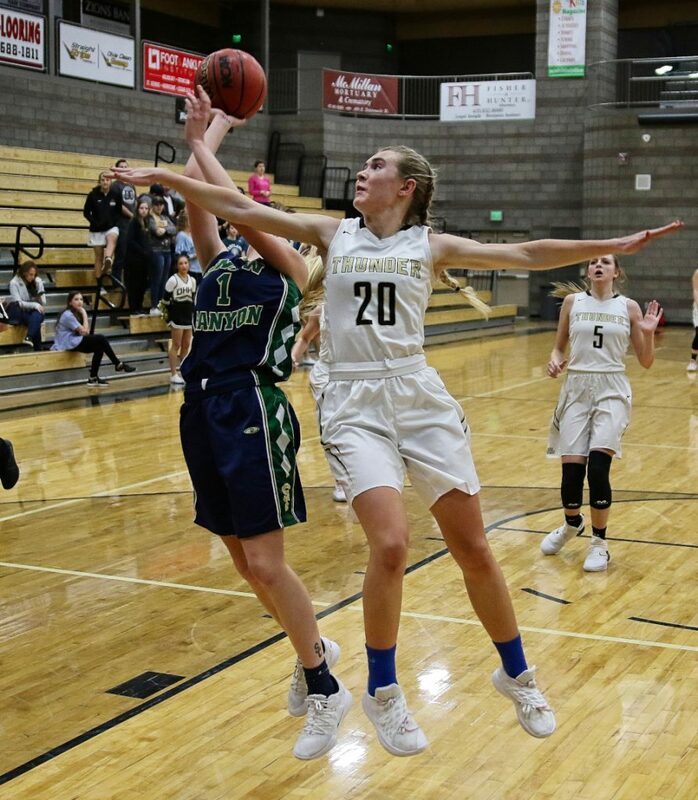 The six Region 9 teams other than Snow Canyon will then wrap up the regular season on Valentine’s Day next Thursday, with Desert Hills hosting Pine View, Cedar playing at Hurricane, and Dixie traveling to play at Canyon View. 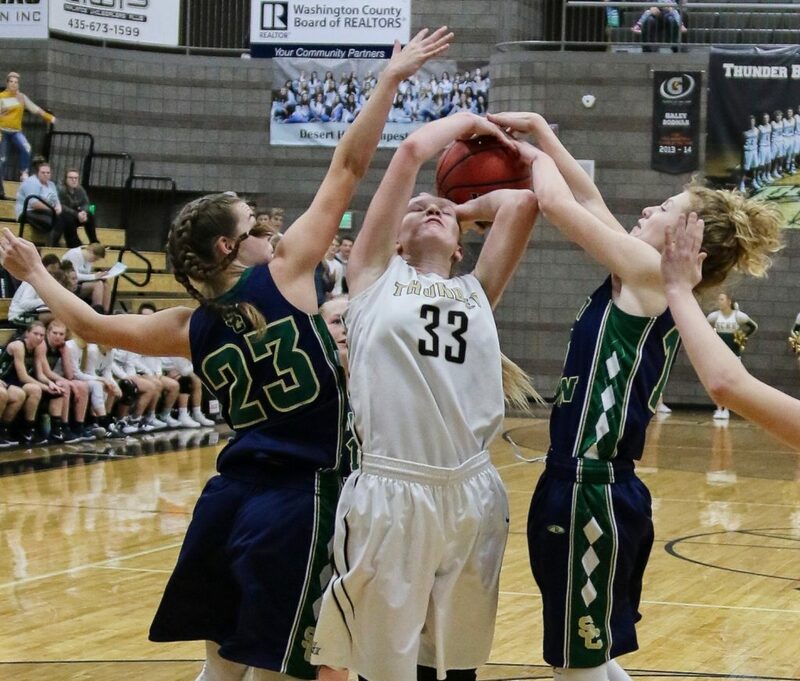 In a back-and-forth battle, the Desert Hills Thunder defeated the Snow Canyon Warriors, 63-58, on Thursday night. Desert Hills took an early three-point after one quarter, but the lead was cut to two at the half. 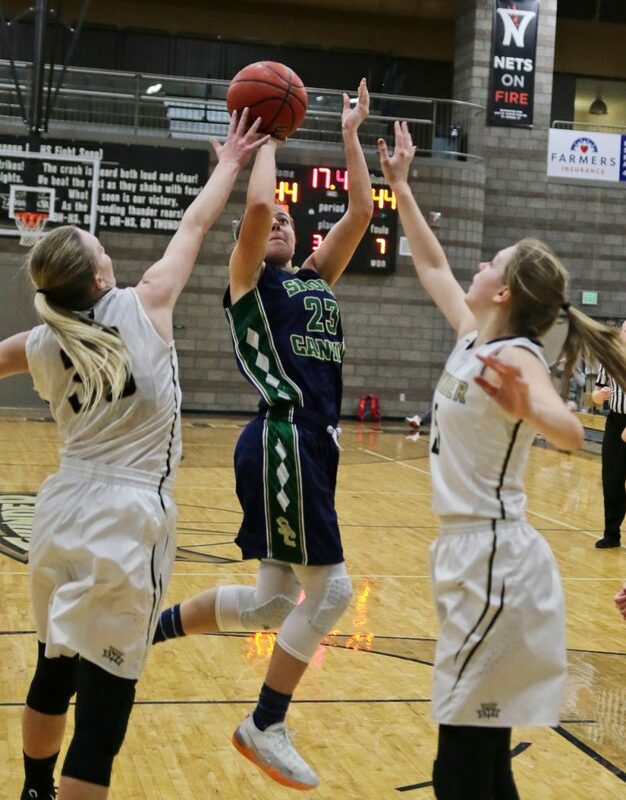 Snow Canyon tied the game after three and the game remained tied after the fourth as the game went to overtime. In overtime the Thunder broke away, taking the game over and clinching the win. 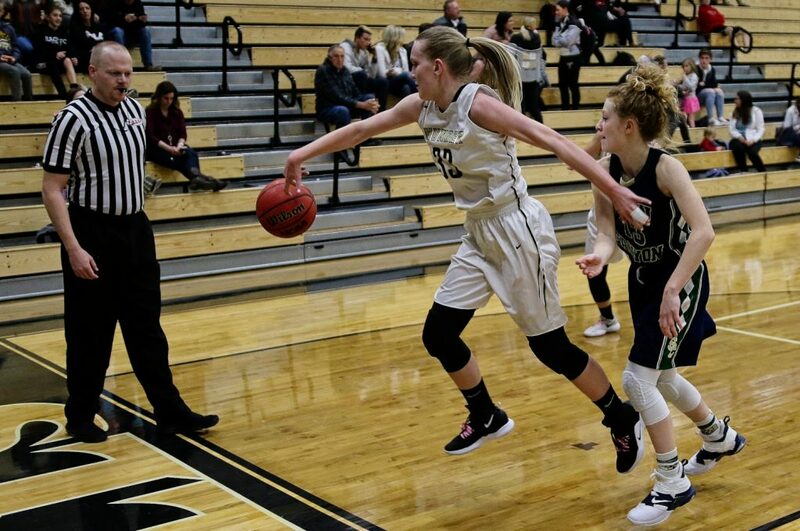 Katelyn Philips led Desert Hills in scoring, dropping 24 points in the win. Kellie Nance added 12 points and Julia Jacobsen added 11. With the win, the Thunder improved to 5-4 in region play. 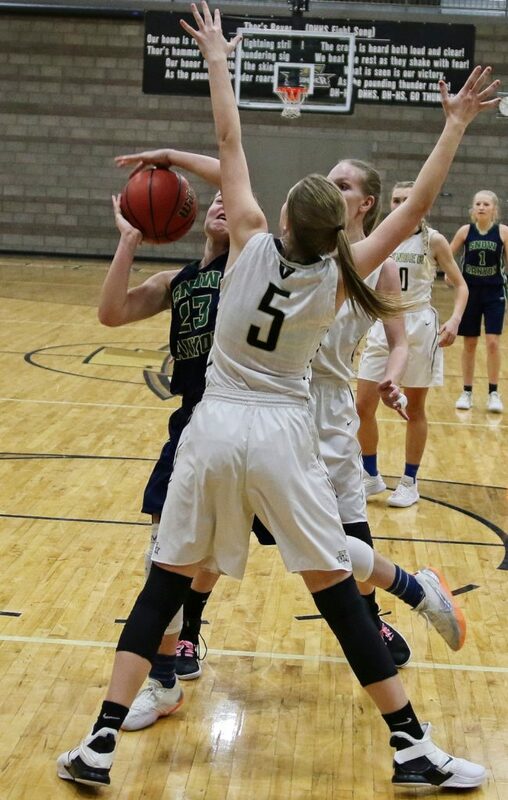 Snow Canyon, which dropped to 5-6 in region play, was led by Tylei Jensen, who scored 19, and Olivia Harris, who added 15. The Warriors travel to Cedar City to play the undefeated Lady Reds on Tuesday at 7 p.m. The Thunder visit Dixie, also on Tuesday at 7 p.m. 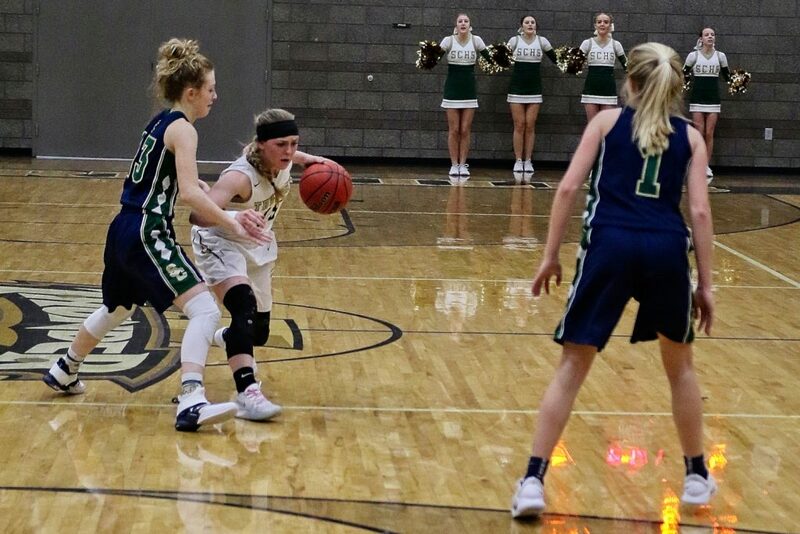 The Pine View Panthers defeated the visiting Canyon View Falcons, 54-42, Thursday for their second straight region win. Pine View took a six-point lead after the first quarter, but the lead was cut to three heading into halftime. The score was tied after the third, but the Panthers broke away in the fourth, outscoring Canyon View 15-6 to seal the win. 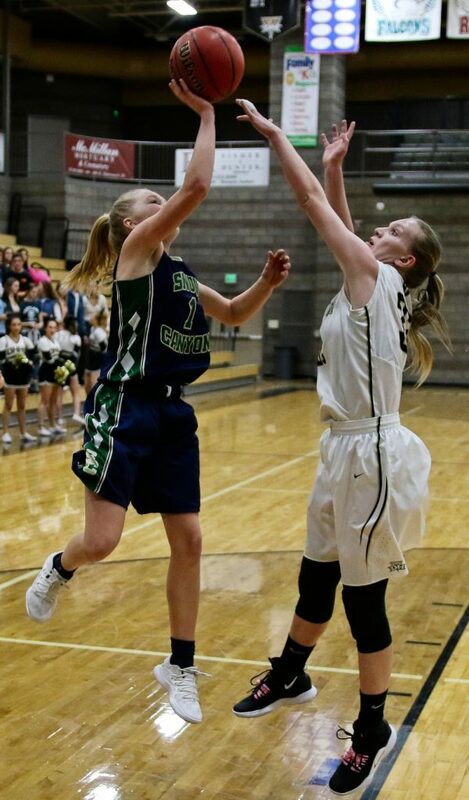 Sophie Jensen led Pine View with 17 points, while Averi Papa added 14. The Panthers improved to 4-6 in region play, moving to half a game out of fourth place and the final playoff spot. 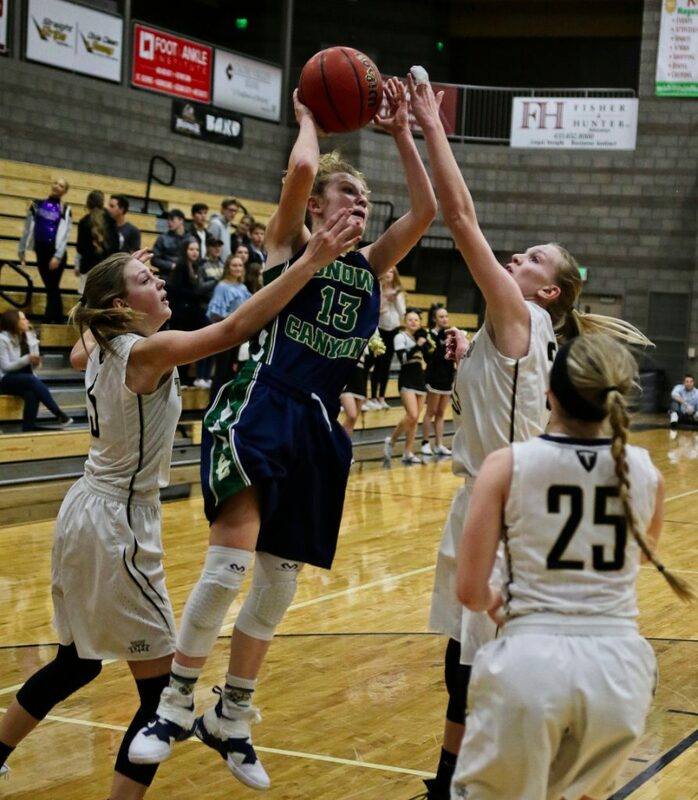 Pine View hosts Hurricane, which is also 4-6, on Tuesday at 7 p.m.
Jordan Nielson led the Falcons with 15 points and Harlee Nicoll added 13. Canyon View, which dropped to 1-10 in region play, hosts Dixie on Thursday at 7 p.m.